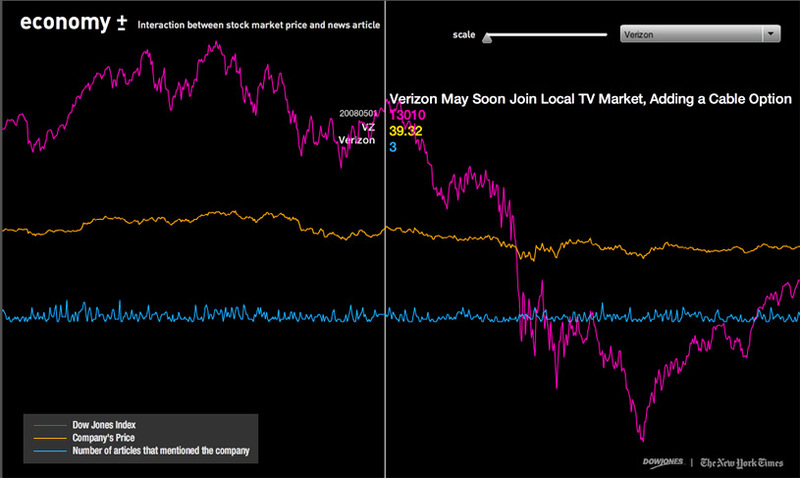 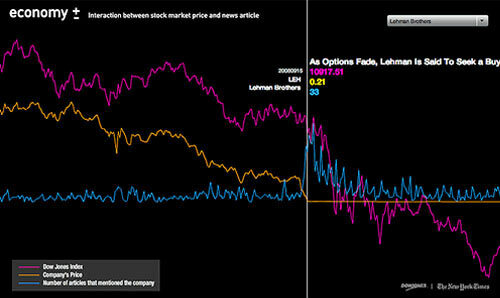 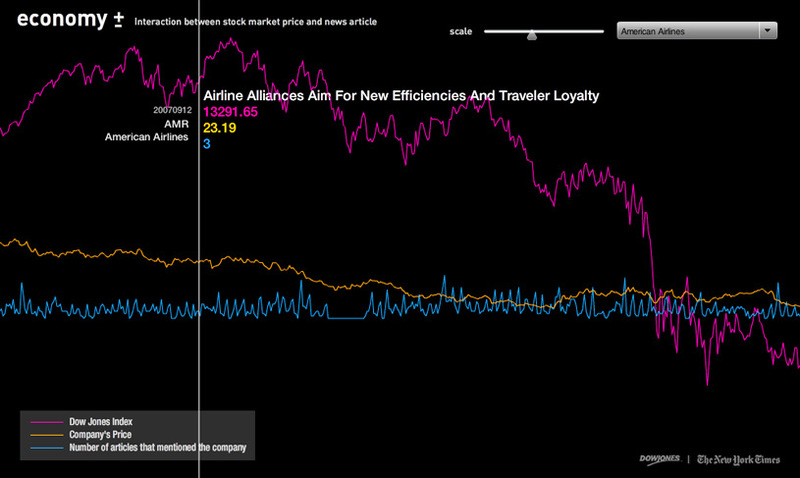 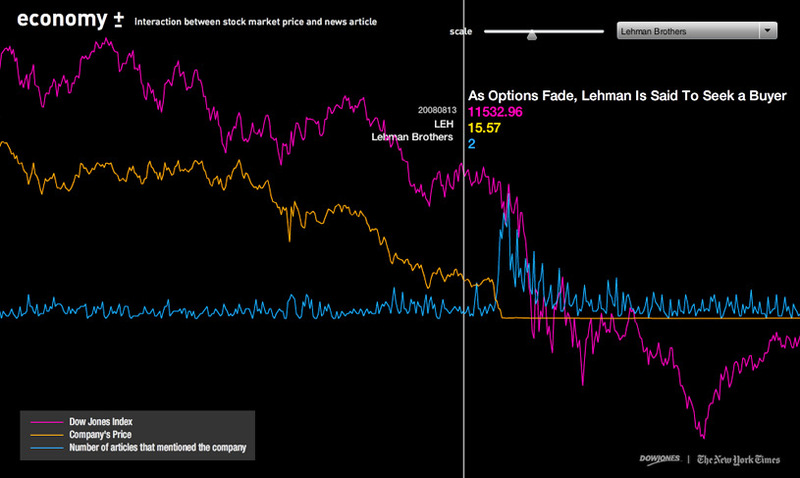 Interactive information design, visualizing the relationships between the stock market price of a company and the number of articles that mentioned the company in the New York Times. 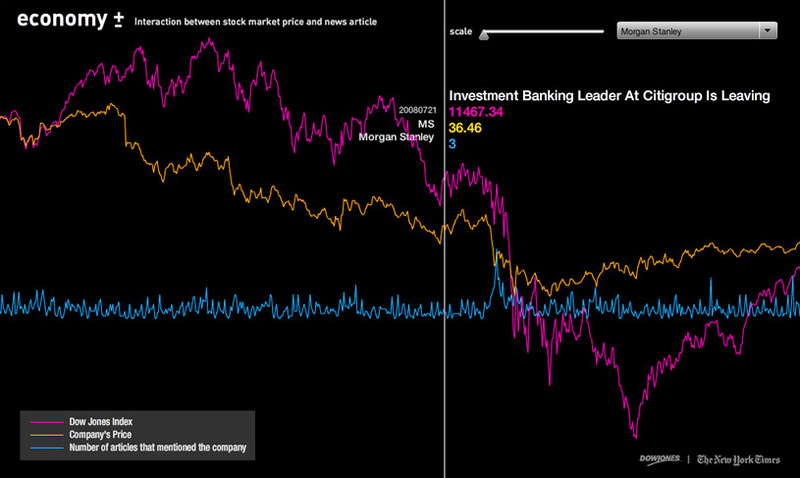 Users can select from the list of Fortune 100 companies in 14 different industries and navigate through daily information of the Dow Jones Index, stock price and the number of articles that mentioned the company. 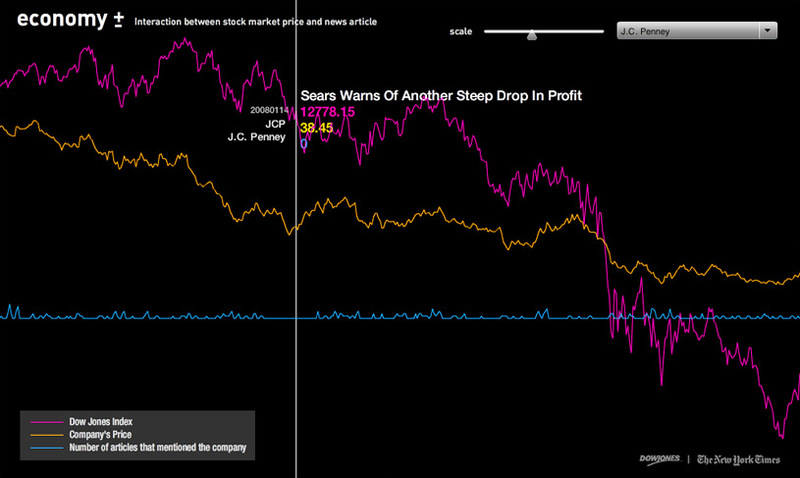 When users click on a specific date, it retrieves the headlines of the article, which contain the company’s name. 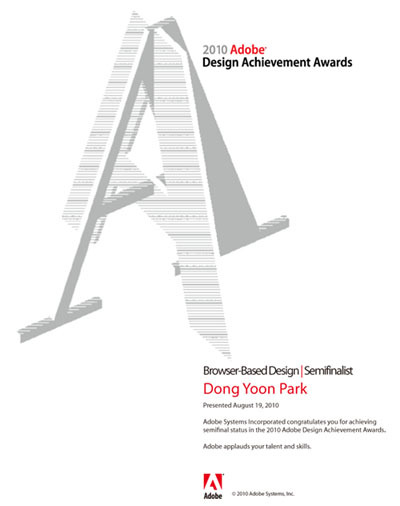 This project was selected as semifinalist in Adobe ADAA 2010.